Just finished an extraordinary session with tuba player Oren Marshall. The sounds he coaxed from his instrument made it hard to believe that this was a tuba at all: snorts, grunts, wolf howls and something that sounded like garbled short wave radio, as well as more traditional tuba territory. Some beautiful moments where Oren merged with the warm textures of Thomas Bloch’s Cristal Baschet. Can’t wait to work with this new material. 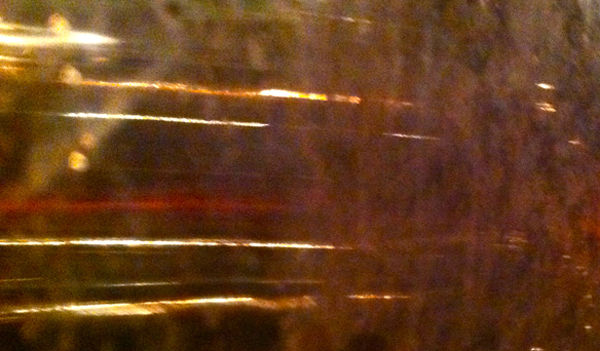 The image is of a reflection on the tuba bell.